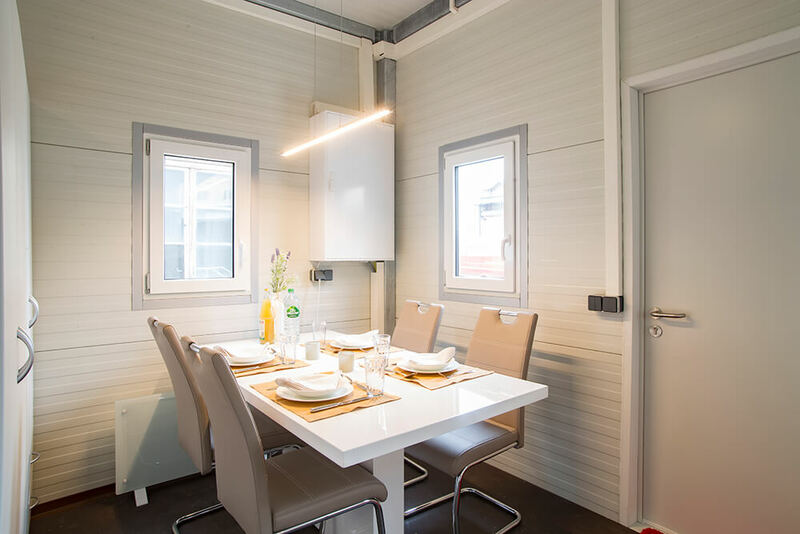 Ready to connect, completely furnished residential containers. Versatile & practical: For use as refugee housing, student housing, construction site trailers, office trailers & more. 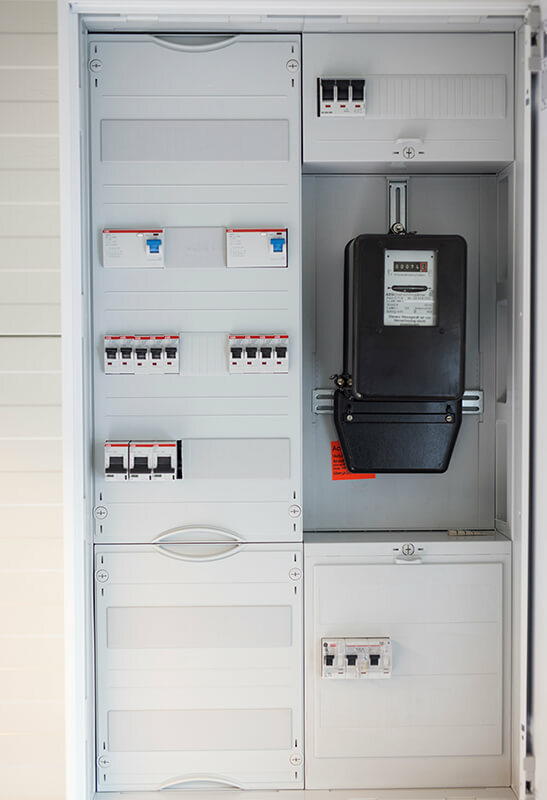 panel sell quickly delivers ready to connect, completely equipped residential containers – either as ‘do it yourself’ building kits or as entirely assembled and furnished units. 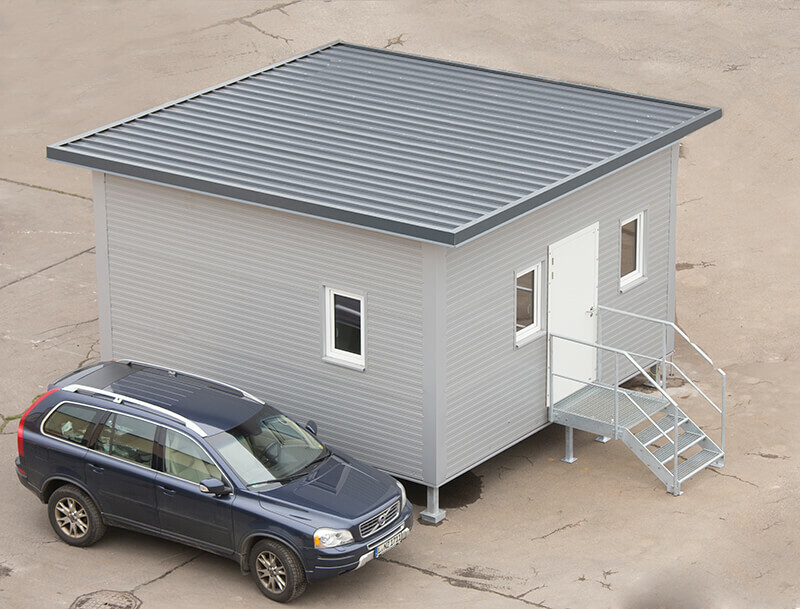 In a similar manner to industrial sheds, these quick-construction accommodations are produced by placing sandwich panels onto a steel substructure that is both quick to assemble and robust in nature. The interior construction is then completed with hook-ups for electricity, water and waste water utilities. The residential container’s living room area provides space for up to 4 people to have their meals and serves as a living room or a lounge. The two corner windows fill the area with ample daylight. 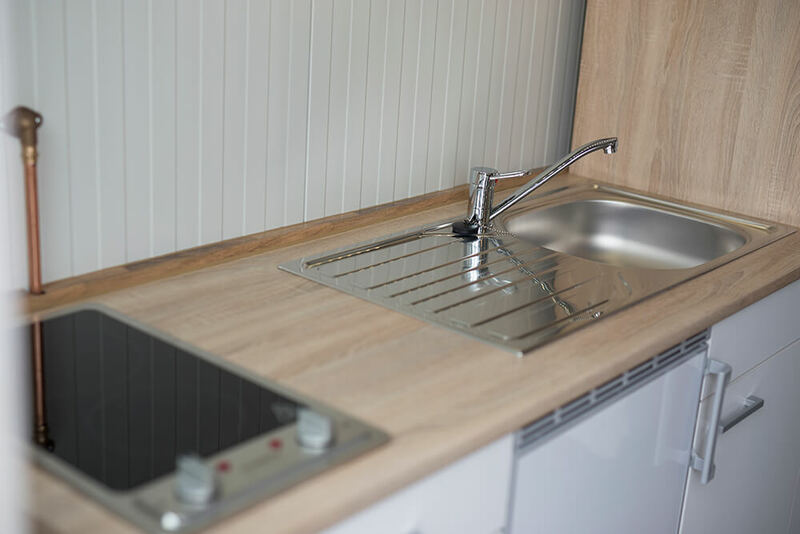 The kitchenette features all the conveniences of a modern kitchen in compact form. It comes furnished with practical kitchen appliances and offers plenty of storage space. 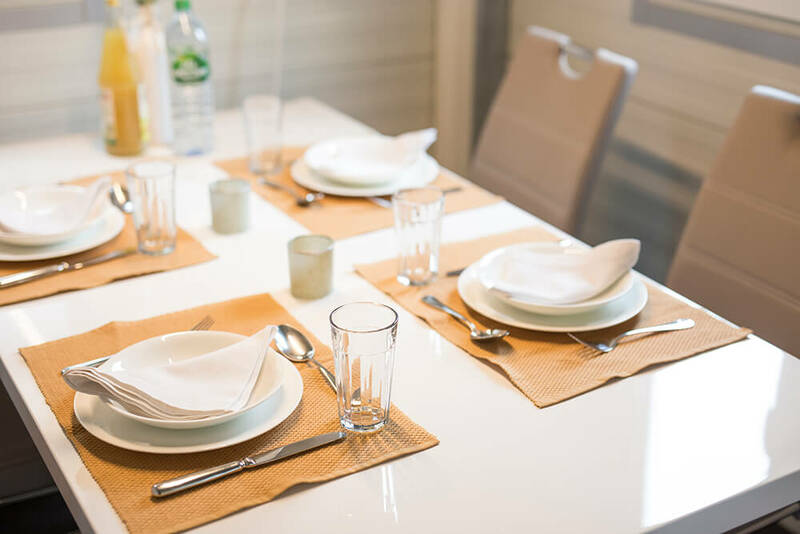 Optional Extra: You can choose to have the kitchenette stocked with standard cooking utensils plus tableware for 4 place settings. 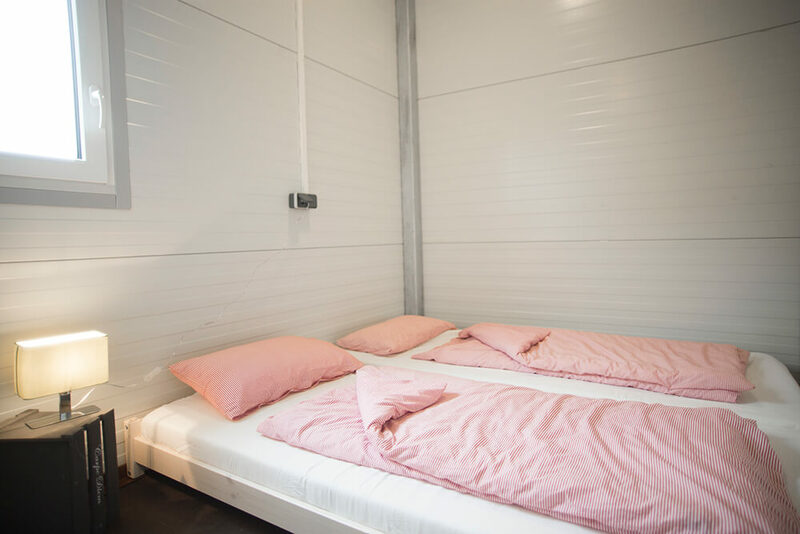 The bedroom area in the residential container has been designed to accommodate up to 4 people in 2 separated sleeping areas. Optional Extra: Each wardrobe can be fitted with an overhead cabinet (H65 x W80 x D60) to provide additional storage space. 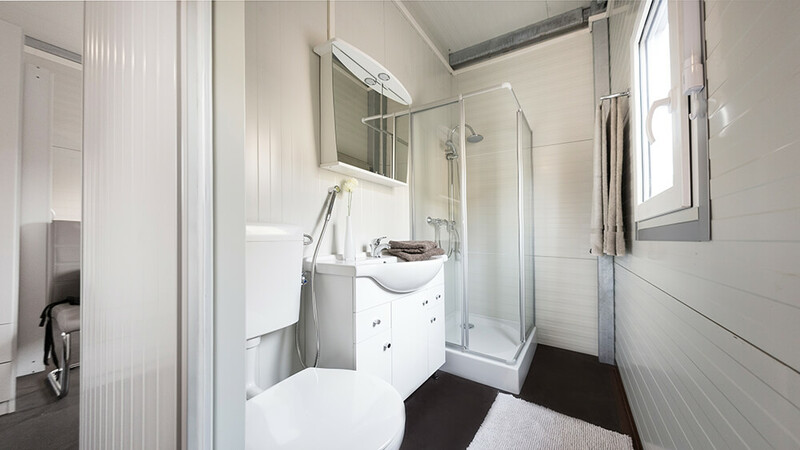 The residential container’s modern, comfortable bathroom comes entirely equipped. The bathroom window provides essential ventilation. 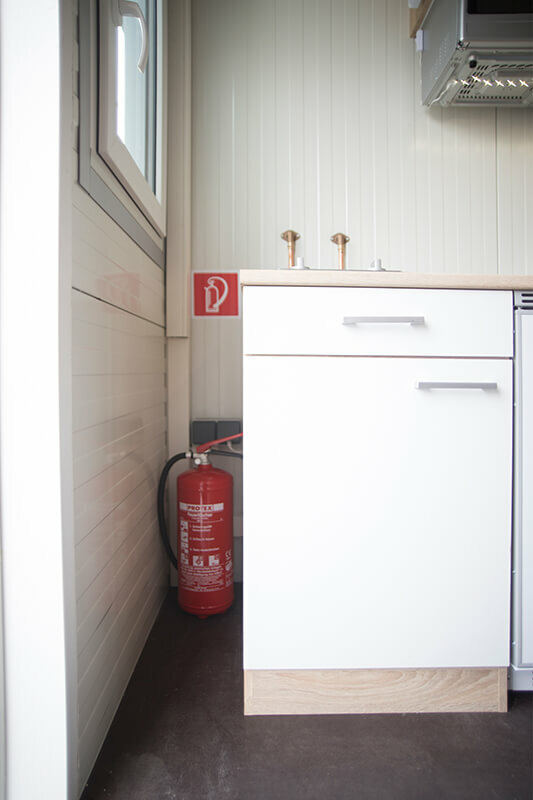 Optional Extra: You can choose to have your residential container’s bathroom equipped with a 600W electronic bathroom towel radiator with thermostat. The entire residential container is heated by a mobile 2000W electrical convector heater. This heater’s power is sufficient to heat 70-80 m³ at more than 20°C, even in prolonged periods of minus degree temperatures. This is due to the sandwich panels’ 120mm insulation, which is also used in another configuration for minimal energy-using passive houses. 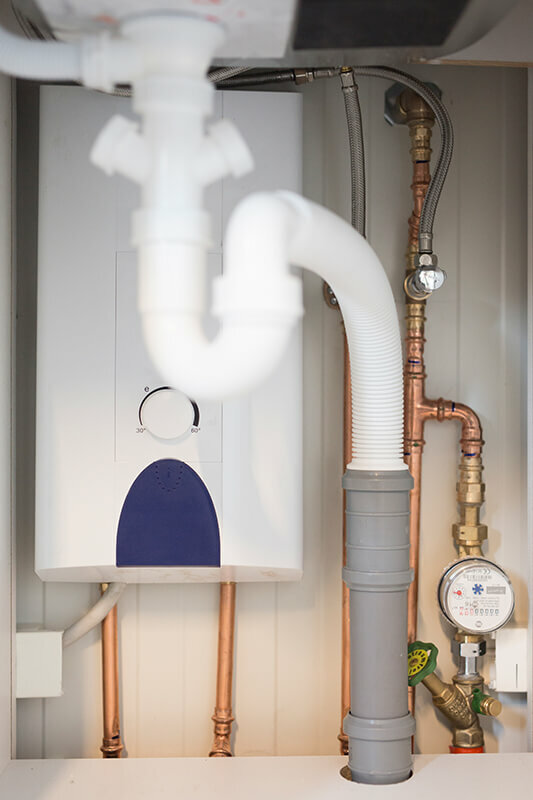 You can, however, choose to augment your heating with a second 2000W electrical convector heater and a 600W bathroom radiator. The warm water heating is delivered to the kitchen and bathroom via a brand name 18kw tankless water heater. If there is no 400V line available, a 230V hot water boiler can also be supplied (for an additional fee). Both in its configuration and its use as an accommodation, the residential container has many advantages over mass housing. The assembly of the steel structure as well as the installation of the sandwich panel walls and the insulated roof panels is achieved with pre-fabricated building components, reducing on-site cutting to a minimum. The standardization of the residential containers secures cost advantages when purchasing and can allow for the pre-fabrication of customizations as well. panel sell offers you the opportunity to purchase the residential container as an entire building kit with instructions for self-assembly. To successfully set-up your own residential container, you will require average to above-average craftsmanship skills, suitable tools, a lifting device and manual assistance (manpower). As an alternative to the building kit, you can choose to have your residential container assembled on-site by an experienced set-up team. The assembly of the shell construction is completed within one day. The completion of the interior construction requires an additional 1 to 2 days. 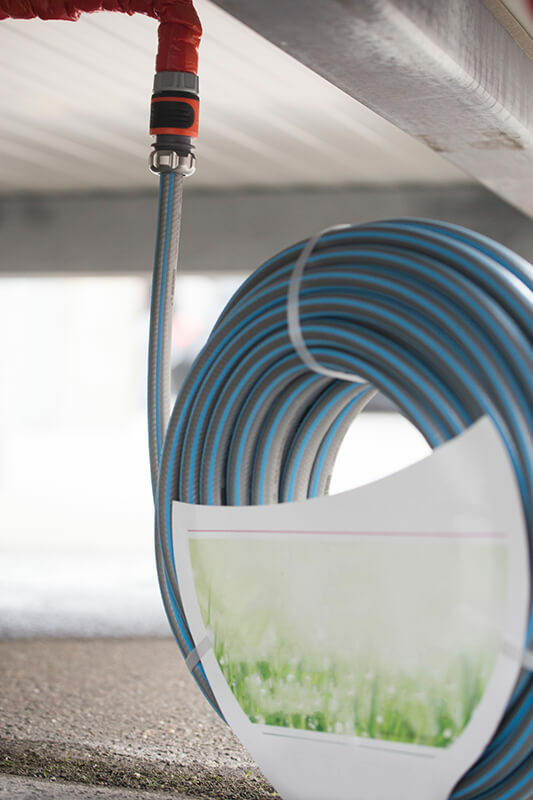 When the necessary infrastructure already exists on-site, it only takes a few simple adjustments for water, waste water and electric to be hooked up to the residential container. Residential containers are ideal for setting up in large groups to form a ‘village’. They fit in much better and more pleasingly with the local residential surroundings than other common types of mass housing. 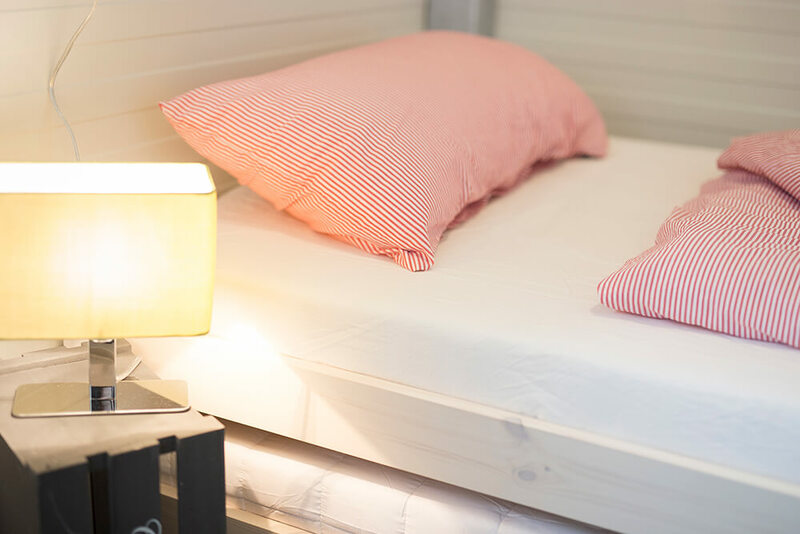 In addition, their flexible and space-saving construction gives builders the possibility to place a few units or a single unit on property locations which might otherwise go unused. The residential container’s footing supports can be easily adjusted to adapt to uneven terrain, so that building sites can be utilized which normally would require costly preparations (such as grading) before use. Despite their lower construction costs, the units present themselves as aesthetically pleasing, neutral ensembles, which smoothly fit into every type of residential development. There is a wide variety of colors and forms for the installed sandwich panels to choose from. For an additional fee, you can also choose to have roof panels with the look of tile roofing. In comparison to mass communal housing, the residential container offers enormous gains in the quality of life for its occupants. This is especially true for families, because the privacy of a residential container allows the natural structure of a family living situation to remain intact. The selected 120mm polyurethane insulation with a U-value of 0.19 W/(m²K) distinguishes itself with its thermal value from other commonly used 40mm insulations. In addition, the insulating effect of PU foam is roughly double that of mineral wool in the same thickness. This puts the residential containers in the realm of passive houses, as defined by the German Energy Saving Ordinance. As a result, residential containers are also suitable for use in cold or very cold regions, and sufficient heating can be achieved with one or two electric convector heaters. 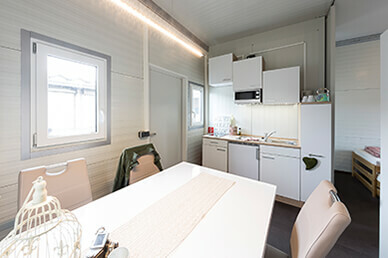 Despite its compact size, the layout of the residential container has been designed to support an unrestricted, normal lifestyle for its occupants. 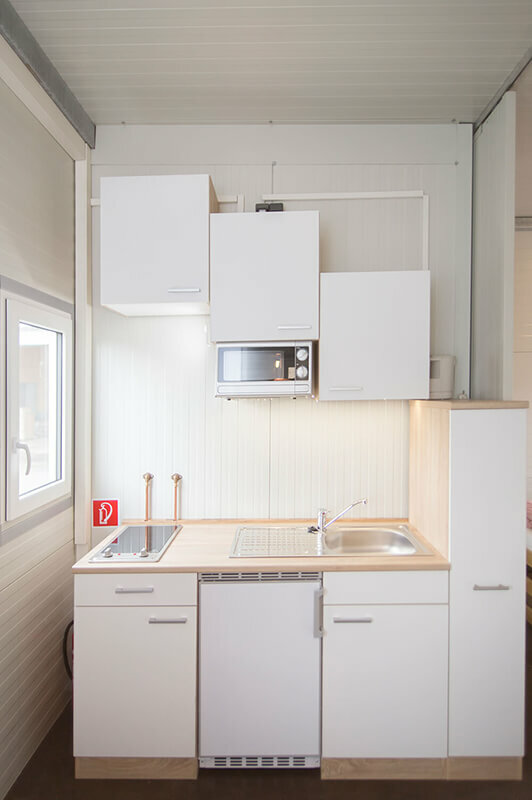 Unlike institutional catering, the container’s generous kitchenette, stocked with various appliances, allows residents to comfortably prepare their own meals in a self-sufficient manner. The bathroom, with a size of almost 3m², offers relatively a lot of space and is completely equipped with practical amenities. The private bathroom contributes significantly to an overall feeling of well-being. In contrast to other types of mass housing or temporary tent structures, the residential containers from panel sell have been developed with long-term, lasting usage in mind. 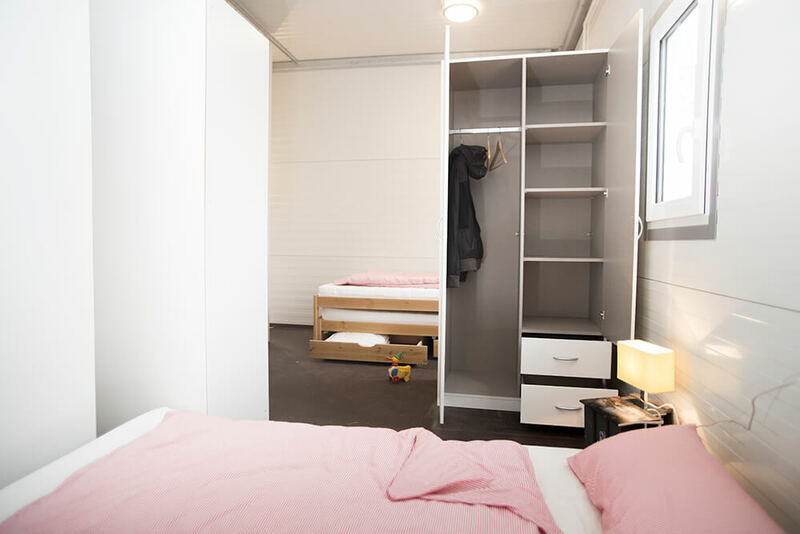 The residential containers are not only designed as housing for refugees and asylum seekers, they are also ideal for student accommodations in areas where there is a shortage of such housing. For long-term projects, the containers can be designed for use as business offices or building site offices. 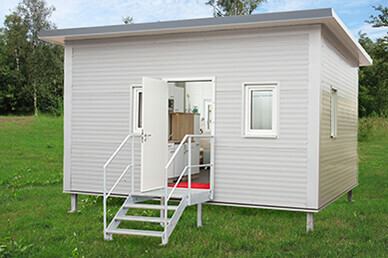 Bedrooms and living rooms can be omitted to create office areas, and the container can be supplied with or without a kitchenette. 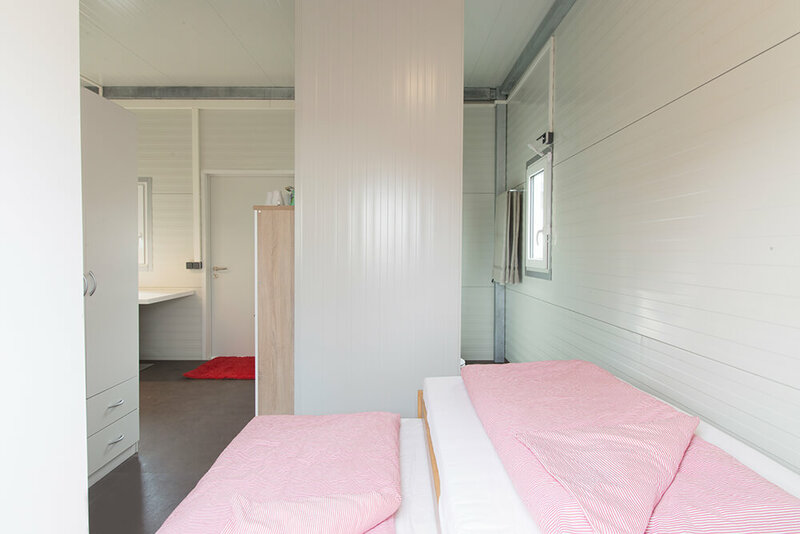 Due to its standardized, modular construction, the residential container is readily available for delivery. Even large quantity orders can usually be delivered within 3-5 weeks. The length of time required for the set-up phase depends on the conditions at the set-up location. 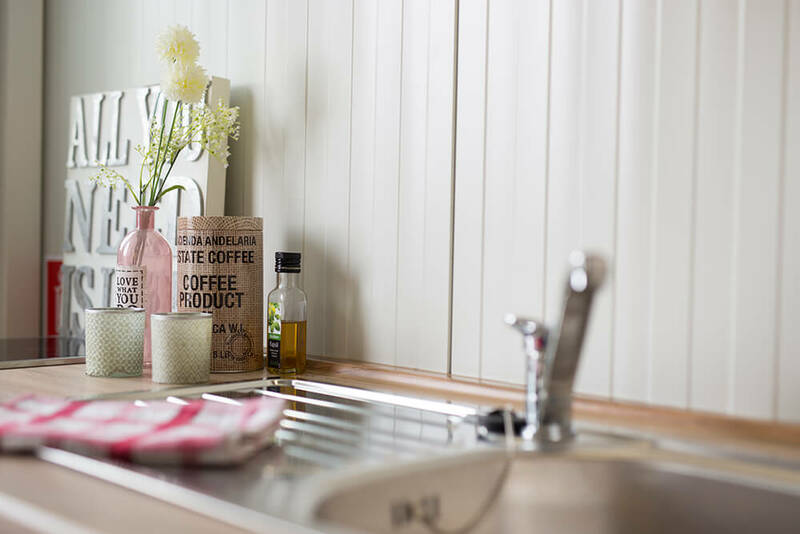 As a general rule, if the necessary infrastructure is already present (site, water, waste water, electric), the residential container can be ready for use within 2 to 4 weeks.